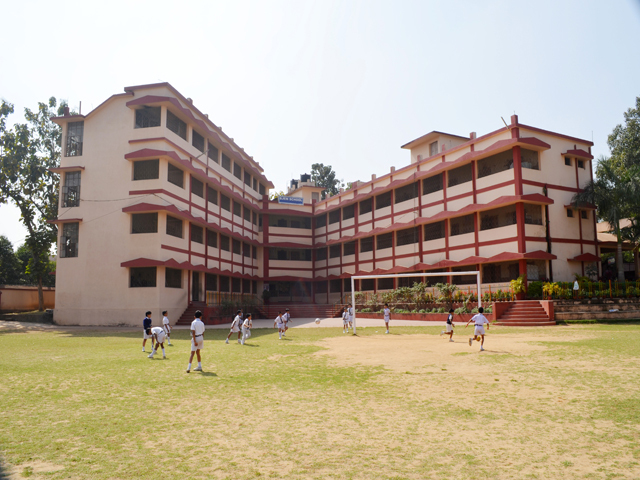 Over the years the school has developed a huge infrastructure with the best possible facilities and provisions to cater to the requirements of more than 3,000 students and 200 staff. It extends the utmost care to nurture the innate potential of the young learners. 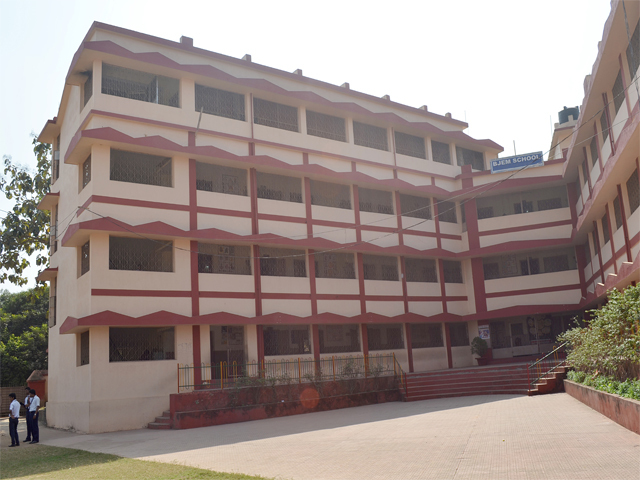 It has two teaching blocks within its premises which accommodates students from Lower Nursery to Std. XII. 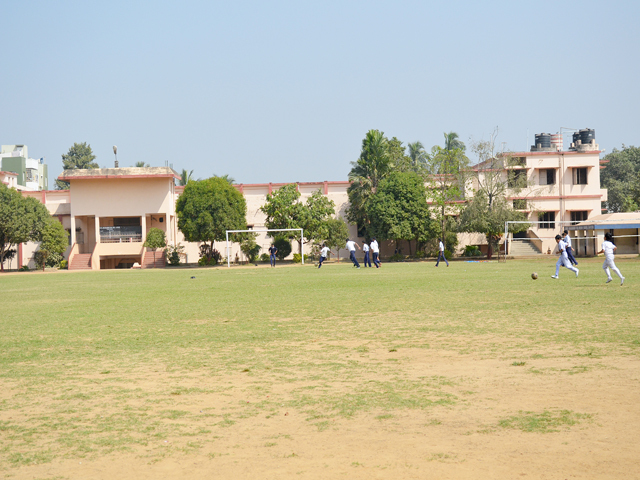 The spacious, airy, lighted classrooms, well equipped libraries, laboratories (Physics, Chemistry, Biology, Maths, English, Computer Science), colourful toy rooms for tiny tots, Audio/video Halls, huge assembly ground, sprawling play ground, children's park, furnished multipurpose auditorium enrich the learning ambience of the school. 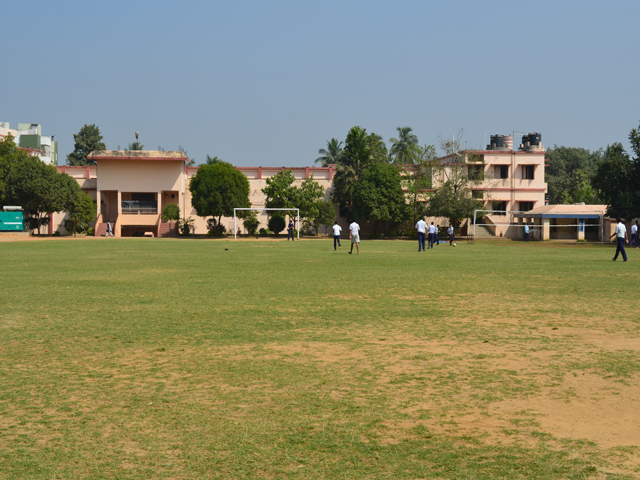 Apart from academic provisions, it has adequate facilities in the areas like Games and Sports, Arts and Craft, Dance and Music and Physical Education. Skill-based learning/training is imparted to the students (in the above stated areas) by the skilled teachers and trainers for their all round development. The class monitors perform duties assigned to them by the class teachers. School prefects and House prefects work in the various school committees, hold periodical meetings and suggest the Principal about the welfare measures to be taken for the student Community, The Head Boy, the Head Girl, the Team and House Captains and the other prefects are appointed by the Principal amongst those who show qualities of leadership and command a great deal of respect from their fellow students, and form a very valuable part of the school community. The school has introduced an Award named 'BJEM BLUE' from the session 2003-04. One of the students from class IX is awarded and honoured with the 'Title' on the basis of extra ordinary performances in the field of academics and extracurricular activities. In addition to this, various Memorial Awards and Awards for Best Student, Best Scout & Guide, Best N.C.C. Cadet (in Army and Air wings) boys & girls are given away to glorify the ability of the students. 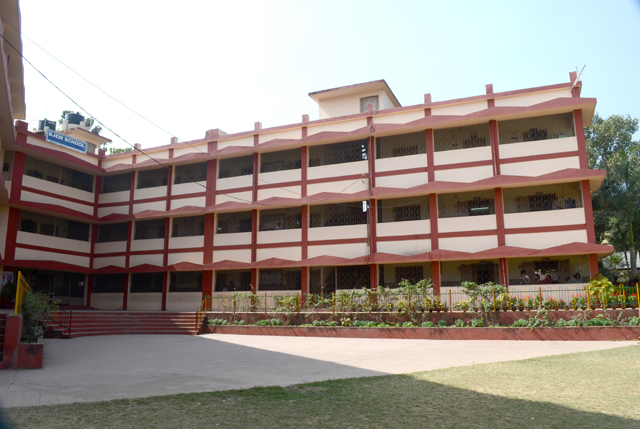 108 well – ventilated classrooms with suitable furniture, ergonomically designed for different age groups. Our school has a well stocked Library, staffed adequately to keep it in good order, to guide students during their library periods to make the best use of the library and books and also to advise and instruct on research and reference. The stock is constantly expanded and updated to provide meaningful reference materials for students and teachers. (II) Our library is reached by more than 12000 books that include literature, Children's books, Encyclopaedias, Reference books and Text books. CDs and DVDs are also available for students. Newspapers, periodicals and magazines are procured regularly in English , Hindi and Oriya. (III) The library remains open from 7am to 5pm on weekdays and 10am to 2pm during summer and puja vacations. Department of computer science is the most living and up-to-date department of the school. To keep in pace with the recent developments in the field of science and technology, this department has taken all the hardships to train its students from class-III to XII. From class III to XII ,students take this subject as SUPW and in std XI, XII this is taught as elective subject following the guidelines and curriculum of CBSE. As far as SUPW is concerned ,the students are given training from basic of computer to the world of Internet. The computer department has about 100 computers. 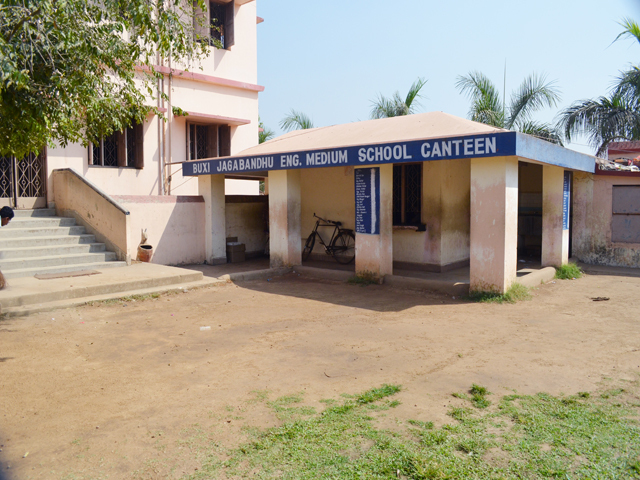 The school has two computer laboratories, one as Junior lab meant for Class III to IX and another is Senior Lab meant for Class X to XII students along with one computer based office for its Staff belonging to this department. The introduction of computer education has become an integral part of the school curriculum. Our air-conditioned computer Lab-1 & II have adequate number of computers with Multimedia and Internet facilities. Computer courses are available for students from Std. IV onwards as a part of the SUPW programme of CBSE. Since the session 1999-2000, Computer Science has been introduced as one of the optional subjects in Science stream as an alternate to Biology in class XI & XII. The school accounts, examination results, directories of staff, parents and student profiles are computerised in regular process. Students of Std. VIII can opt for a two year training in National Cadet Corps – Army (Boys), Army (Girls) and Air-wing (Boys). Scouting & Guiding are optional for boys & girls of Classes VI to X. (i) Promotion of Health and Cleanliness. (iii) Fostering of World Friendship. The students of our school take active part in this grand mission. 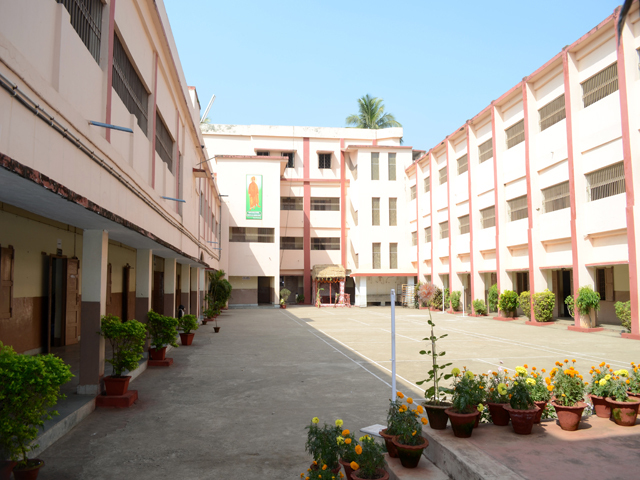 The school has an Audio Visual Room with a slide projector, an overhead projector, tape recorders, a television, a VCR, Multimedia Computers and Internet facilities for the students. A. Regular hikes and treks are organised at weekends to various places around the city that enable our students to appreciate and enjoy the majesty and mystery of nature. Teachers and students join this venture. B. Regular visits are organised to the National Park, the Science Park, the Planetorium and Botanical Gardens, as part of learning experience. C. The B.J.E.M. School Organises Nature Camps, in which students participate, widen their horizons with new experiences that are strange in a city, e.g., star gazing, cross-country racing and bird watching. The Social Service League aims to help the poor and needy connected with the working of the school. It also helps those in the community, who are the victims of the natural and other calamities and need immediate help and support. The underlying concept of the League is to inculcate compassion and generosity in the students, so that each individual student contributes the best of one's ability and learns to take pride in giving rather than taking. The development of this single personality trait may revolutionise the mind of the child and encourage him/her to serve the mankind. 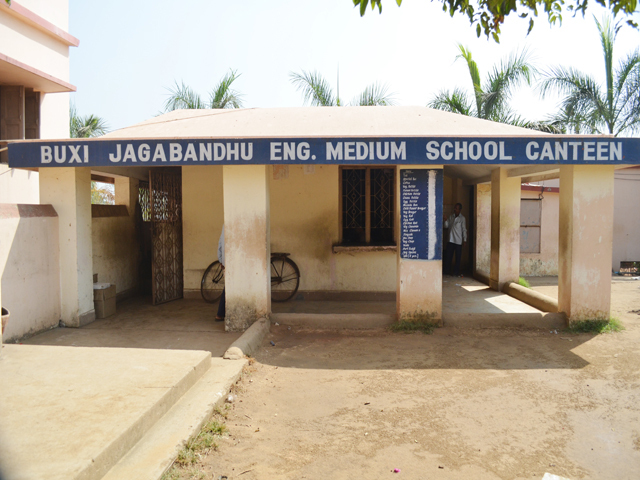 The school has a small clinic under the care of a medical officer. First-aid, dressings for all kinds of wounds and sprains are done for the children. Once a year, a routine medical check-up is carried out for all the children in the school. Once in each term the height & weight of the students are taken and reflected in the progress card. A 'CSPD' programe is being pursued by the school for the last four years. 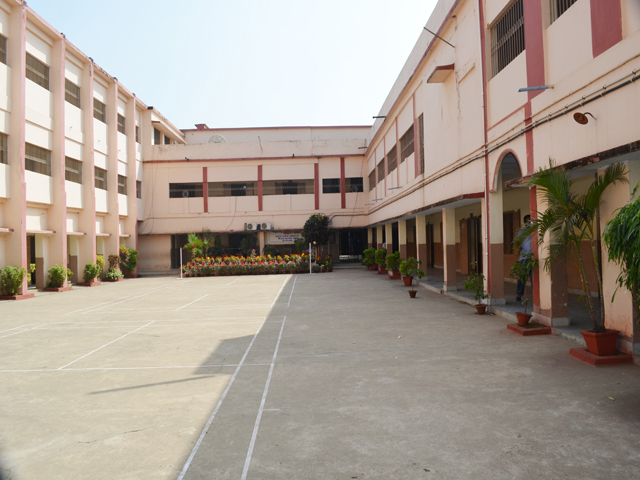 Special compulsory classes are held every week in which students participate in various activity modules like - Debates, Elocutions, Extempore speeches, JAM, Panel/Group Discussions, story telling I enactment, Recitation, Conversations (Telephonic I General) Mock Interviews, Quiz, News Reporting, Commentaries, Dramatics and many more. 1. In the laboratory, students must abide by the instructions given by the teacher. 2. Students will be responsible for any breakage or loss of apparatus. 3. Every such breakage or loss should be reported immediately to the Principal and its cost should be deposited by the student. 4. Students must use aprons (white cotton) while working in the laboratory. Polyester, nylon or any kind of synthetic dress should not be used. BJEM School has 5 buses and its assigned to carry children to and from school and school events. Our school buses are distinguished from other types of buses by design and the name of the school is printed in front as well by the side of the busses. Our busses cater to students all over Bhubaneswar and nearby areas. Busses are especially suited to meet the safety and comfort needs of students. Thus it has several features in addition to the Government's safety norms specifications. The emergency door is suitably positioned for optimum convenience of access when necessary. The School has a permanent cycle stand. Daily coupons are issued at the time of entry on producing the yearly pass and collected it back at the time of dispersal. Odisha Gramya Bank (fully computerized) functions inside the campus to deposit fees and for all financial transaction of school .Punjab National Bank ATM Counter is also available inside the school campus.